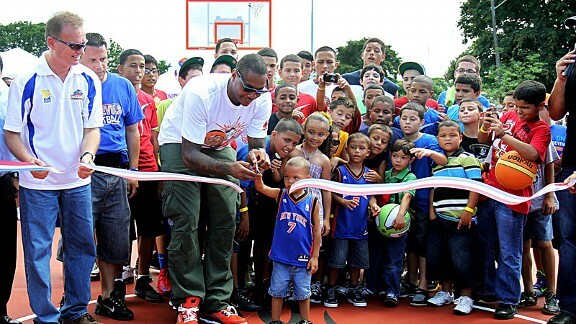 For the third straight summer, Carmelo Anthony celebrated his roots by giving back to Puerto Rico, remodeling basketball courts in a poor neighborhood. NBA superstar and three-time Olympic gold medalist Carmelo Anthony never had the chance to grow up with his Boriqua dad, Carmelo Iriarte, who died when he was 2 years old. But it’s no surprise that the Houston Rockets guard, outspoken especially when it comes to social inequity, is the son of a former member of the Young Lords, a Puerto Rican nationalist group that worked alongside the Black Panthers in the 1960s and 1970s. Anthony, who has a Puerto Rican flag tattoo on his right hand, has exhibited his love for the island by building and restoring basketball courts through the Carmelo Anthony Foundation, founding North American Soccer League expansion franchise Puerto Rico FC and putting together relief efforts after the devastation of Hurricane Maria in 2017. 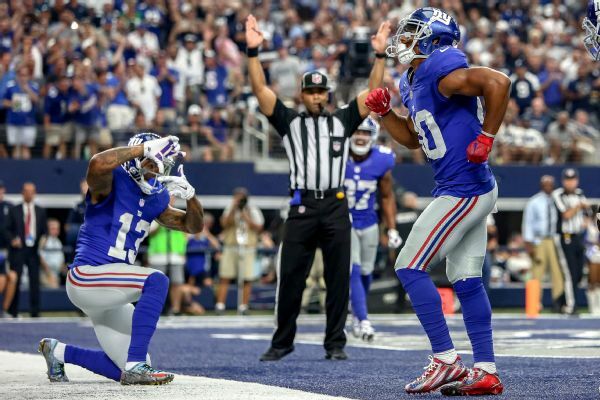 To New York Giants fans, Victor Cruz’s end zone salsa dances were picture-perfect. Super Bowl XLVI champion turned ESPN analyst Victor Cruz was born to a Puerto Rican mother and an African-American father. The wide receiver played all six of his years in the NFL with the New York Giants and famously celebrated touchdowns by dancing salsa merengue in the end zone. His grandmother, Lucy Molina, taught the Paterson, New Jersey, native how to dance the Caribbean rhythm. 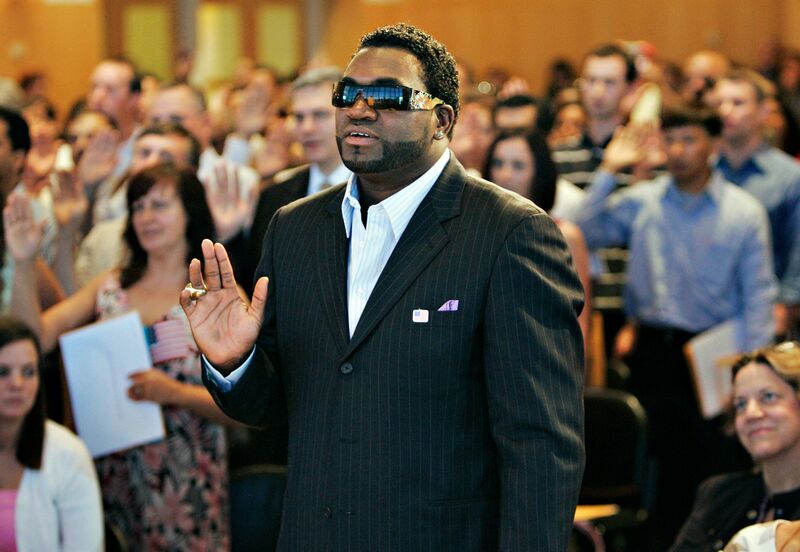 The Boston Red Sox’s David Ortiz raises his hand while taking the oath of citizenship along with 220 other immigrants during naturalization ceremonies at the John F. Kennedy Library in Boston on June 11, 2008. The 10-time All-Star and three-time World Series champion David Ortiz played most of his MLB career with the Boston Red Sox before retiring in 2016. Ortiz finished 17th on MLB’s all-time home run list, hitting 541 home runs over his 20-season career. Ortiz’s nickname is a nod to his native Dominican Republic. On the island, people refer to each other, even strangers, as “papi.” When Ortiz became a part of the Red Sox organization, he couldn’t remember anybody’s name, not even those of his teammates, so he would call them “papi” just as he would back home. Ortiz, who became a U.S. citizen in 2008, has never forgotten where he came from. He founded the David Ortiz Children’s Fund to help children in both Boston and the Dominican Republic receive lifesaving cardiac treatments. Massy Arias, a health coach and personal trainer, inspires her 2.5 million Instagram followers through her fitness routine and disciplined lifestyle. Celebrity fitness trainer and CoverGirl ambassador Massy Arias identifies as both a black woman and a Latina. When she moved to the United States from the Dominican Republic at 14, she knew almost no English. The 28-year-old now speaks English fluently. But when she addresses her 2.5 million followers on Instagram, she is always sure to communicate in both English and her native Spanish. Sophina DeJesus of UCLA on the uneven bars during a regular-season gymnastics meet between the Arizona Wildcats and the UCLA Bruins in Westwood, California. 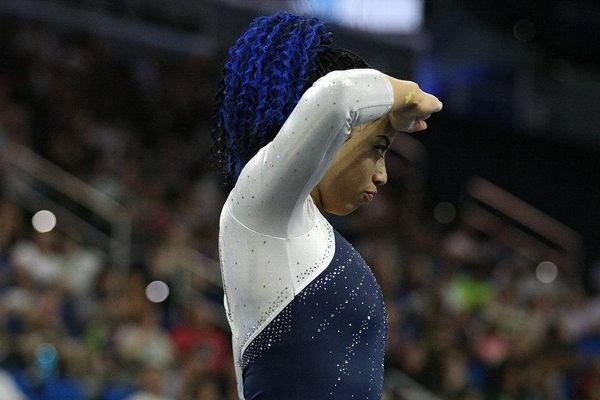 The UCLA gymnast Sophina DeJesus caught the world’s attention, including more than 32 million views on Facebook, with a floor routine against Utah in 2016 . The then-21-year-old rocked royal blue ombre box braids and incorporated the most popular dances at the time — Whip, Nae Nae, Quan and Dab — into her performance. The half African-American, half Puerto Rican scored a 9.925, helping her team secure a win. Maria Isabel Urrutia is welcomed by at least 5,000 supporters as she arrives in her hometown of Cali, Colombia, in 2000. In 2000, Maria Isabel Urrutia became the first Colombian to win a gold medal at the Summer Games in Sydney. And she did it after tearing cartilage in her knee the previous year at the Pan-American Games. 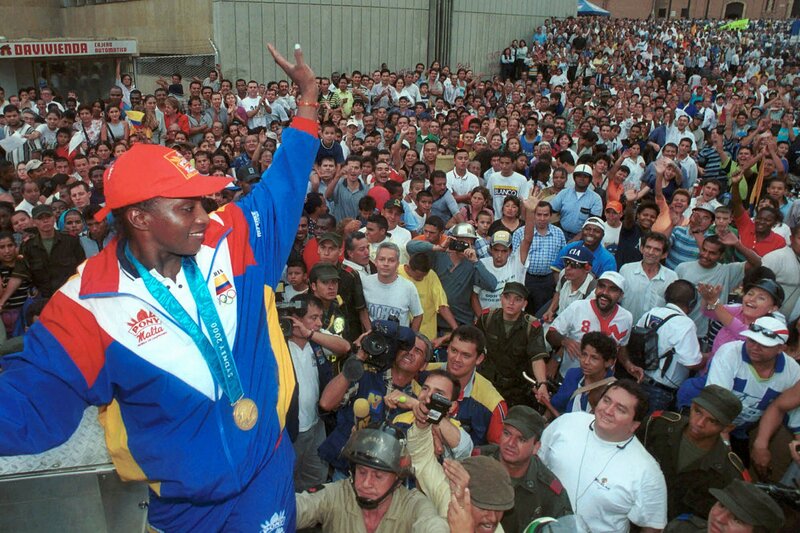 After winning the women’s 75-kilogram weightlifting event, the Colombian used her gold medal to address the guerrillas who kidnapped approximately 80 people from her home city. ”I’m sending a special message to them … hoping they take pity on the families of all the people they have in captivity,” the weightlifter said from Sydney. After retiring from competition, Urrutia was elected twice to the Chamber of Representatives of Colombia from 2002 to 2010 before transitioning into coaching. 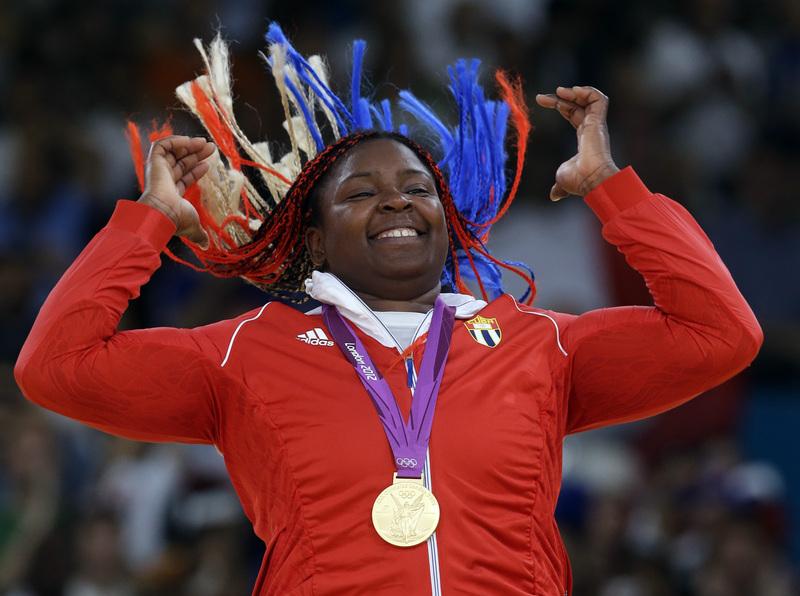 Cuba’s Idalys Ortiz reacts after receiving her gold medal for the women’s + 78kg judo competition at the 2012 Summer Olympics in London. Idalys Ortiz, a Cuban judoka, won her most recent Olympic medal, a silver, at the 2016 Rio Games. She won the gold medal in the over 78-kilogram division at the 2012 Olympics and won bronze at the 2008 Games in Beijing when she was 18, making her the youngest Olympic medalist in the heavyweight category.